July 30th, 2008 by Ken | Filed under Recipes. The basic process is grind spices (some roasted, some not), crush ginger and garlic, and finely chop herbs, and then blend with yogurt and lime juice. The following photo shows the spices for roasting. 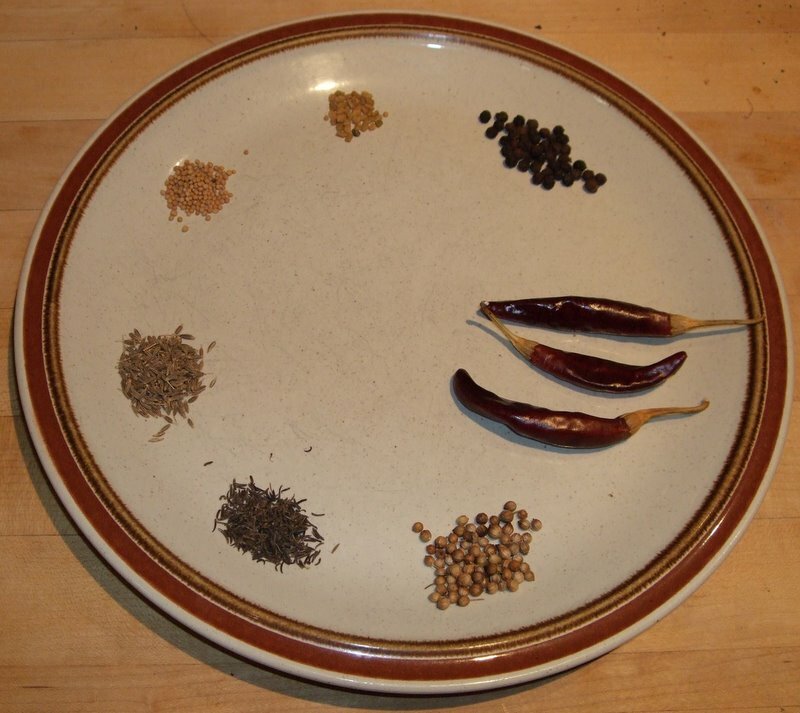 Going clockwise, they are dry chili peppers, coriander, black cumin (kala jeera), light cumin, mustard seeds, fenugreek seeds, and black peppercorns. 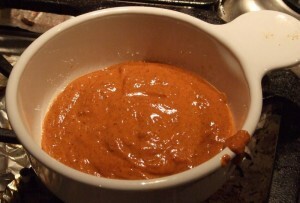 The spices are roasted in a dry frying pan until a little browned and giving off a nice toasted spice aroma (see video). Once roasted, I pour the spices into a blade coffee grinder and let them cool. 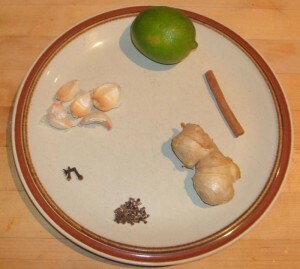 The non-roasted spices/ingredients include lime, paprika (not shown), cinnamon, ginger, green cardamom seed, garlic, turmeric (not shown), and fresh cilantro leaves (not shown). The dry spices are added to the coffee mill (I break up the cinnamon stick first for ease of grinding) and then ground to a fine powder. Lastly, the garlic, ginger (peeled and crushed through a garlic press), cilantro leaves, and the juice of the lime are mixed in a blender (or food processor) along with the yogurt and all the spices (include the portions of ginger and garlic that did not make it through the garlic press). 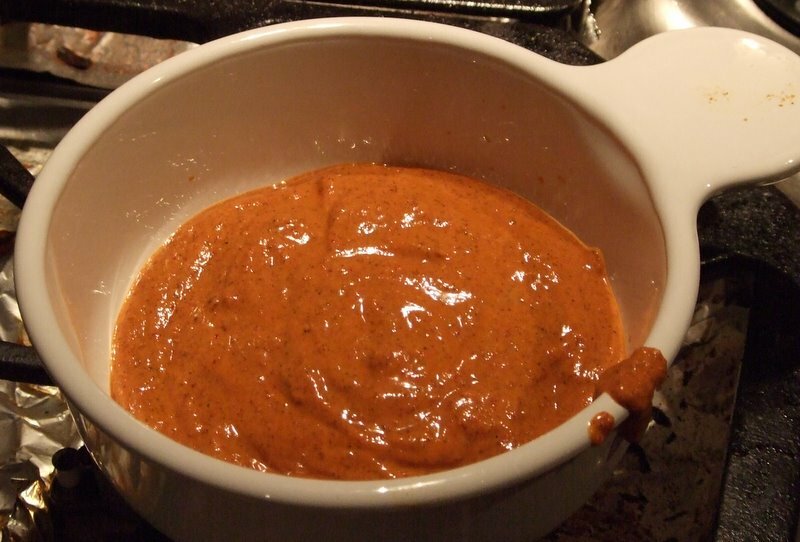 This marinade was used to marinate ap. 3 1/2 lbs of meat (1 lbs cubed ribeye steak and 2 1/2 lbs of chicken leg meat) for the tandoori experiment seen elsewhere on this blog. The two types of meat were individually marinated in ziplock bags for about 3 hours prior to being threaded on skewers and cooked. The left over chicken was used to make Chicken Achar. 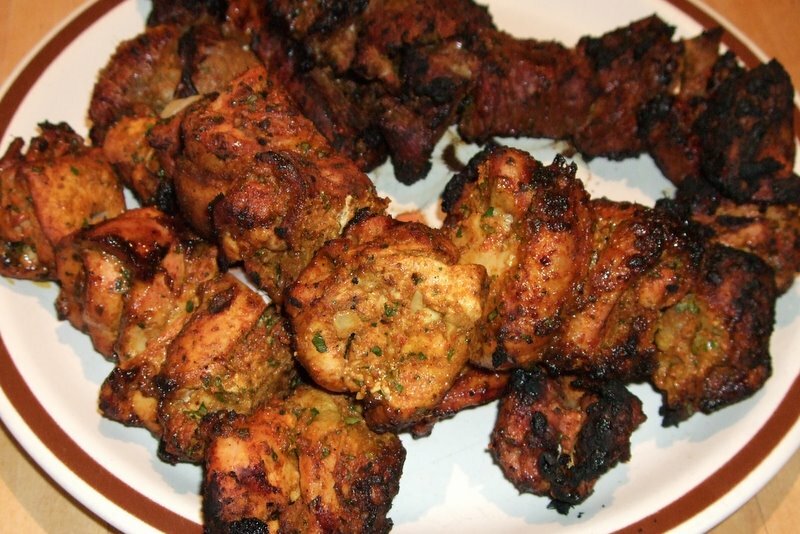 « Big Green Egg as a Tandoor Oven?